Almost two decades ago, following consecutive catastrophic peacekeeping failures in Rwanda and Srebrenica, world leaders turned the protection of civilians into a non-negotiable priority for UN peacekeepers. Recognizing that such failures undermined the entire enterprise of peacekeeping, in 1999, the UN Security Council began authorizing peacekeeping operations to protect civilians. 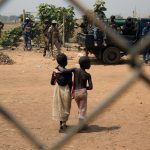 In the years since, UN peacekeeping has been a principle tool to interrupt egregious violence against civilians in Sierra Leone, Liberia, Cote D’Ivoire, the Democratic Republic of Congo (DRC), Sudan, South Sudan, and the Central African Republic (CAR). Today, UN Secretary-General Antonio Guterres and Member States are participating in a high-level summit on Action for Peacekeeping (A4P), the most recent of a multitude of initiatives to reform UN peacekeeping operations. At the Summit, more than 140 governments announced their endorsement of the Declaration of Shared Commitments on UN Peacekeeping Operations. Whether this voluntary and non-binding document translates into tangible improvements – or ultimately undermines twenty years of progress on the protection of civilians – will depend on what Member States and the Secretary-General do next. To its credit, the Declaration recognizes that many actors share responsibility for the success of UN peacekeeping, and includes commitments by those actors. The Secretary-General and diverse governments – those that: deploy, train, and equip peacekeepers; serve in the Security Council; pay the highest percentage of peacekeeping budgets; determine peacekeeping operation policies and practice; and host peacekeeping missions — are committing to addressing politically-sensitive issues contributing to peacekeeping failures and fatalities. The commitments span from improving performance and accountability – one of the most politically sensitive issues in UN peacekeeping – to matching mandates with resources, a promise that could have unpopular financial implications for governments seeking to downsize mission budgets. Many of the reform commitments in the Declaration would also require strong leadership by the Secretary-General to push through long-overdue reforms, including major changes to the antiquated bureaucratic, logistical, and administrative procedures bogging down peacekeeping operations. If after announcing their support, all government endorsers and the Secretary-General were to immediately begin delivering on their commitments, many critical reforms could move forward – save one: the protection of civilians. Translating protection of civilians mandates into tangible safety and security for civilians in conflict has been a twenty-year uphill battle. In over a decade of work on peacekeeping and the protection of civilians, I have witnessed time and again – from Bukavu to Bangui to Bor, and far beyond – how strong opposition to the protection mandate has consistently undermined effective action in the field. The obstacles have been four-fold: failure to adequately prioritize the protection of civilians in the implementation of peacekeeping operation mandates; ideological opposition to the use of force; refusal to strengthen peacekeeping intelligence capabilities; and resistance to supporting peacekeeping operation engagement with local populations. As I set forth below, the Declaration fails to surmount any of these four obstacles; rather than push the protection of civilians further toward the goal of tangible results, the Declarations’ weak – or nonexistent – commitments cede ground. In 2009, an independent review of the first decade of peacekeeping identified numerous challenges weighing down peacekeeping operations’ ability to protect civilians. One key challenge was the failure to prioritize among the dozens of objectives and tasks being asked of peacekeeping operations. Among those tasks, protecting civilians from violence perpetrated by other actors was relatively new, meaning peacekeeping operations were being asked to design and build the boat while rowing it down the river. Furthermore, a mandate to protect civilians can be in direct tension with objectives to work with parties to a conflict to implement a peace agreement or support a host-state government’s security presence, when those parties and governments are perpetrating abuses. This year, high-level political recognition seemed to lapse when, in addressing the Security Council in March to launch his A4P initiative, the Secretary-General did not mention the protection of civilians or its critical role in peacekeeping although he has since integrated it into his public outreach on A4P. Similarly, this year’s Declaration fails to recognize that the protection of civilians must remain a strategic priority, especially in contexts where high-levels of violence against civilians are being perpetrated. Nor does it acknowledge that protection of civilians contributes significantly to the other strategic objectives of peace and stability. The ideological opposition to the use of force in peacekeeping contributed to delays in the development of doctrine and guidance for uniformed peacekeepers. Over the last ten years, uniformed peacekeepers serving in the field have repeatedly told me that they don’t know what “the protection of civilians” means, aren’t clear how and when they are meant to interpose themselves between a perpetrator and victim, and are uncertain about the consequences of action and inaction. I’ve heard countless stories of civilians suffering violence within or outside the gates of UN bases because governments ordered their troops and police serving under blue helmets not to respond to violence without first checking with their capitals. Despite the opposition, progressive Member States, including some troop and police contributing countries, have recognized the realities facing many peacekeepers and called on the Secretary-General publicly and privately to develop guidance and training. While not perfect, guidance on protection of civilians and the use of force now exists. But since troop contributing countries, not the UN Secretariat, ultimately determine and are responsible for training their troops, political recognition of the role that force plays in peacekeeping is needed to minimize loopholes and excuses for inaction in the field. This year’s Declaration doesn’t mention “the use of force.” This glaring omission is due largely to pressure from China and Russia to not reference it in the document. Situational awareness is essential to understanding, planning for, and proactively responding to threats to civilians and UN personnel. Nevertheless, several countries have strongly opposed the strengthening of peacekeeping operations’ intelligence capabilities. 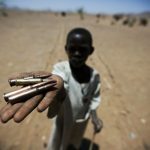 Time and again, my research and the research of others has found that a lack of actionable intelligence, inadequate assessments of threats of violence against civilians, and insufficient integrated analysis and decision-making processes have contributed to some of the most devastating failures of missions to protect civilians. Widely considered a third-rail in peacekeeping, some Member States continue to oppose the mention of the term “intelligence” in resolutions or other consensus documents. In stark contrast, recent breakthroughs include the UN Secretariat developing a new draft “peacekeeping intelligence framework,” under which peacekeeping operations are undertaking reviews of their intelligence capabilities, issuing new internal guidance, and working to integrate new technologies. Political advancements include the recent Report of the Special Committee on Peacekeeping Operations, a consensus document negotiated by Member States as, if not more, diverse than the endorsers of this year’s Declaration, which takes note of the draft intelligence framework and includes a request to the Secretariat to develop a more cohesive and integrated UN system for situational awareness. 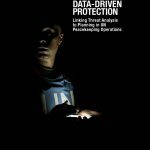 This Report underscored that “the non-clandestine acquisition, verification, processing, analyzing and dissemination of information” (i.e., intelligence) by a UN peacekeeping mission must be performed for the safety and security and protection of civilians tasks of the Security Council mandate. Like “use of force,” this year’s Declaration does not mention “intelligence,” nor the less sensitive need to take threat assessments of violence against civilians into account during planning and decision-making processes. 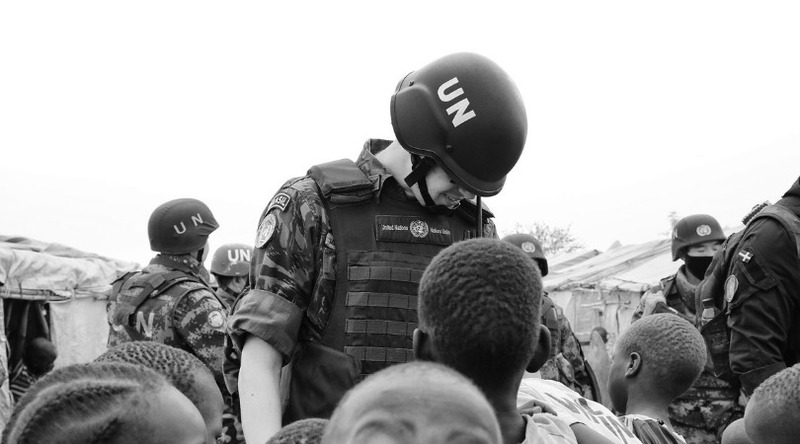 Over the last decade, I have seen peacekeeping operations establish innovative early-warning systems, use strategic communications, and mediate local-level conflicts to interrupt cycles of violence – all by engaging with local populations, civil society, and parties to conflicts Many of these activities were so effective that they are now explicitly acknowledged and included in the tasks outlined in some peacekeeping operation mandates. Despite this success, some Member States have opposed such engagement, favoring instead policies that keep peacekeeping operations focused on buttressing host state governments, even if those governments are undermining sustainable peace and perpetrating violence. Their influence is evidenced in this year’s Declaration, which includes scant reference to strengthening community engagement in order to protect civilians. In the meager section on protection of civilians, the only mention that local populations receive is a commitment to improve strategic communications and engagement to strengthen the understanding of the peacekeeping mission and their mandates. 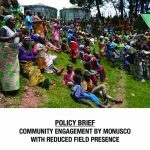 While improving the local population’s understanding of the peacekeeping mission is very important, both to managing local expectations and countering dangerous anti-UN propaganda, the Declaration fails to fully recognize the other community engagement activities that need to be strengthened in order to protect civilians. While the ink on this year’s Declaration is now drying, it is not too late for progressive Member States and the Secretary-General to right this wrong and regain lost ground. Starting today, they must implement a battle plan to restore the high-level political recognition and priority that the protection of civilians deserves. Second, they must ensure that other Member States don’t backslide on their acknowledgements that use of force and intelligence are essential in modern peacekeeping operations. Third, they must ensure resources for peacekeeping operation capabilities to safely and effectively engage with communities under threat. Next year marks the twentieth anniversary of the protection of civilians through UN peacekeeping operations. Global leaders face a choice: build on the hard-won progress of the past twenty years – or repeat failures at a great cost. In the long-term, ongoing violence against civilians erodes the foundation of peace agreements, governance, economic development, trade, and commerce and contributes to refugee flows, criminal activities, and violent extremism. In the near-term, failures to protect civilians undermine the credibility and legitimacy of UN peacekeeping, the only multilateral intervention of its kind. But the greatest and most immediate cost of deprioritizing protection is also the most egregious: further loss of civilian lives.